Founded in 1978, Insure Smart has helped guide their clients to the best insurance policy for over 30 years. The family owned insurance agency has spent the last three decades putting their customers first. 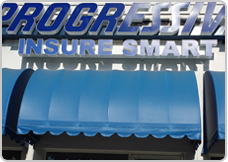 There truly is no insurance company in the Miami and Fort Lauderdale area that can compete with the personal care each client will receive from Insure Smart. From policy questions to new concerns, there is nothing an Insure Smart agent will not strive to assist their customers with. No matter the situation, Insure Smart is there for those they help protect.